In Crisis in the Kindergarten, an eye-opening report on the importance of play in early childhood education, authors Edward Miller and Joan Almon make a truly remarkable observation: "Young children work hard at play." While it might not look like hard work to us, when kids engage in play they are perfecting a multitude of skills and are learning a great deal about how the world works. We would like to share a fun game that can challenge young children and encourage later reading success. This game helps kids practice "taking words apart" and "putting them back together." Being able to hear and play with the smaller sounds in words is an important skill that helps contribute to reading success. Kids who are able to manipulate the smaller sounds in words have an easier time learning to read. STEP ONE: Find a picture of an object that your child is familiar with. STEP TWO: Cut the picture into the number of pieces equal to the number of syllables of the object. 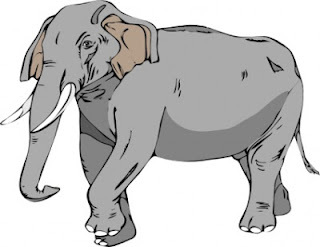 "EL" --pause-- "E" --pause-- "PHANT"
a) Mix up the pieces and ask your child to put them back together and tell you what the words sound like normally and "broken apart"
b) Lay out three different two-syllable picture puzzles and have your child say one of the words slowly while you try to guess which one she or he is saying. c) Ask the child to put the words together backwards or in other silly ways. 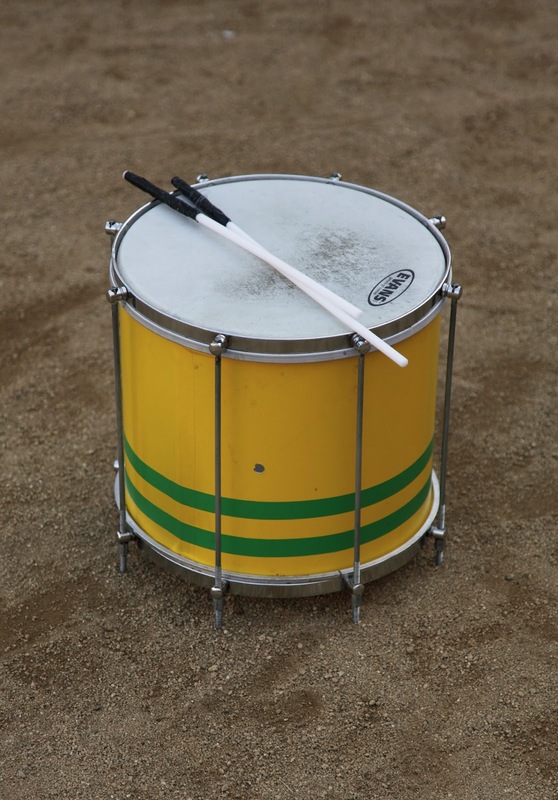 This super-fun book introduces kids to the sounds that make up words. 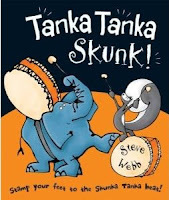 A playful elephant and skunk lead the reader in drumming out the beats that make up a bunch of animal names. Highly recommended. Playing is work, ask a musician and, of course, observe kids at play. I remember my daughters and her friends spending most of their play time setting rules, planning, brainstorming before beginning to actually play (sometimes it seemed that the whole game was the organization of it). Talking about skills.